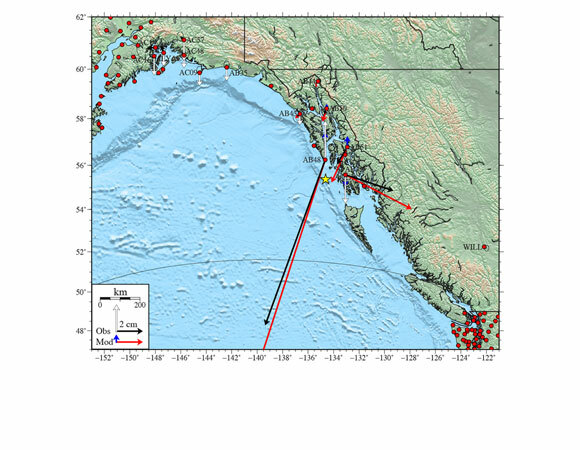 On January 5th, 2013, at 08:58 UTC, a magnitude 7.5 earthquake shook the ocean floor off the west coast of southeastern Alaska. 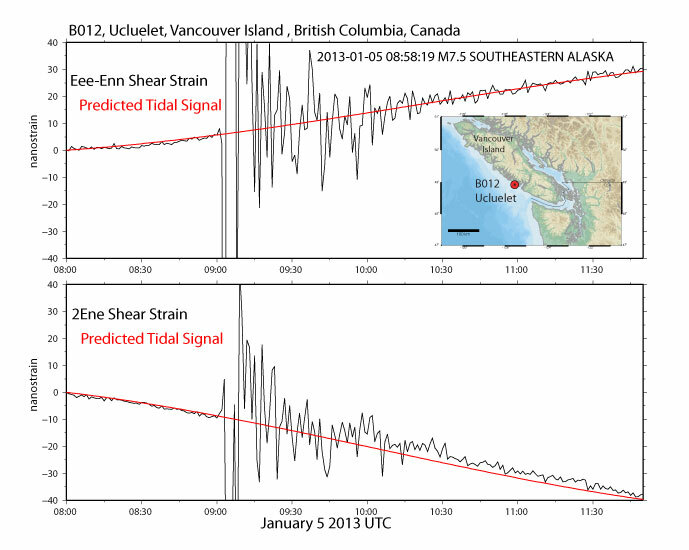 A tsunami was generated, but the waves were only about six inches above normal and the tsunami warning was canceled. 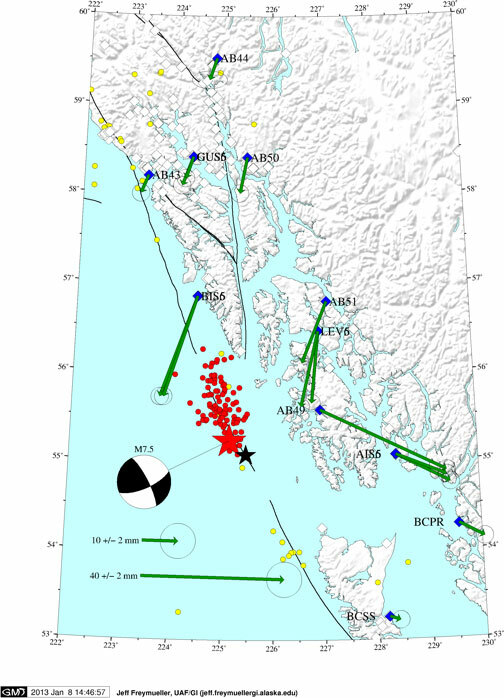 The earthquake was followed by six aftershocks as big as M5.1, and came nearly four hours after the initial quake. 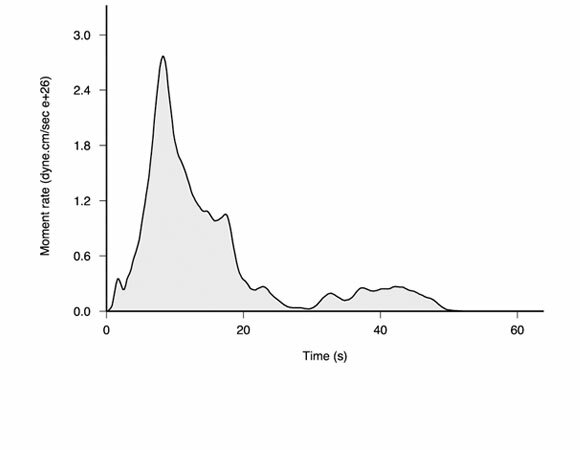 Houses shook and items were moved around, but there were no injuries reported. 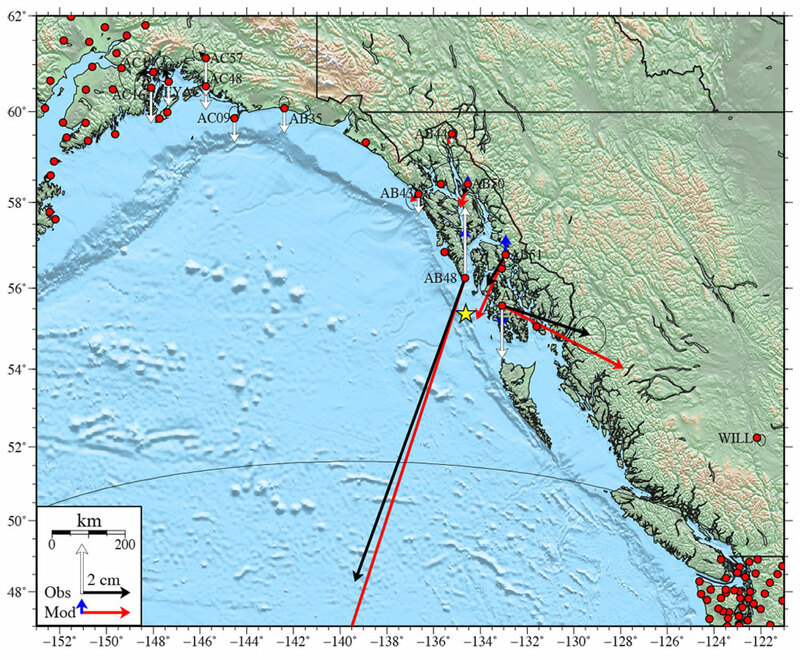 This earthquake occurred along a shallow strike-slip fault on or near the plate boundary between the North America and Pacific plates in the Queen Charlotte fault system offshore of Alaska and British Columbia, Canada. 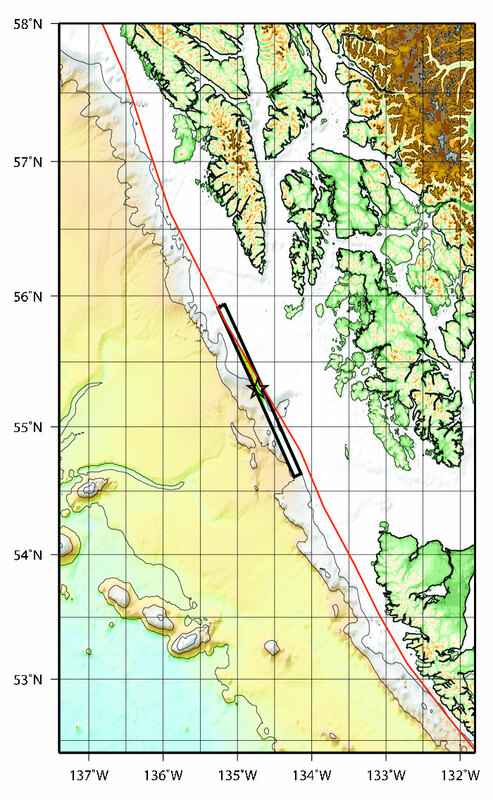 At this location along the plate boundary, the Pacific plate is moving roughly northwestward with respect to the North America plate at about 51 mm/yr. 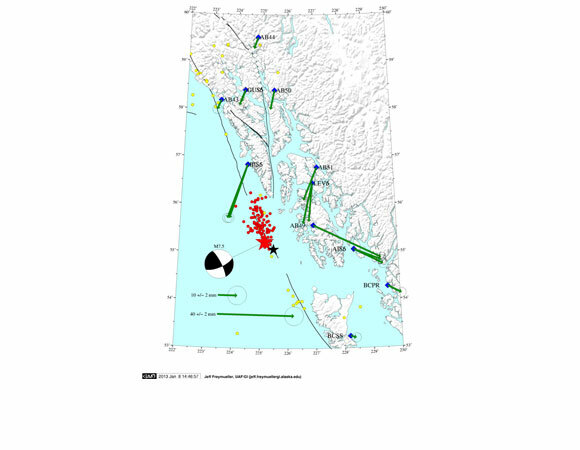 This earthquake is related to the M7.7 Haida Gwai earthquake of October 28, 2012, and is an expression of deformation along the same plate boundary system. 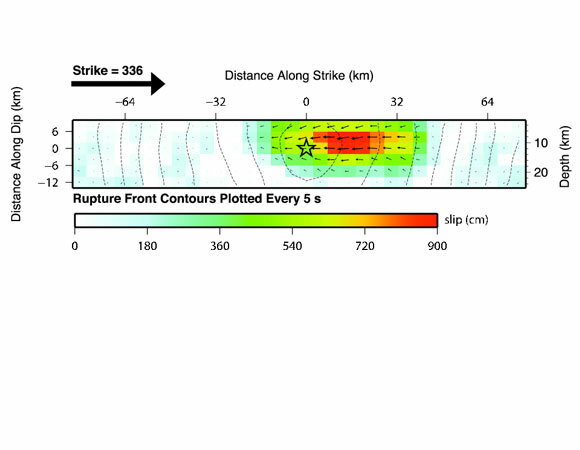 The former event was associated with oblique-thrust faulting, and the January 5 event is thought to have been an expression of the oblique component of deformation along this plate boundary system. 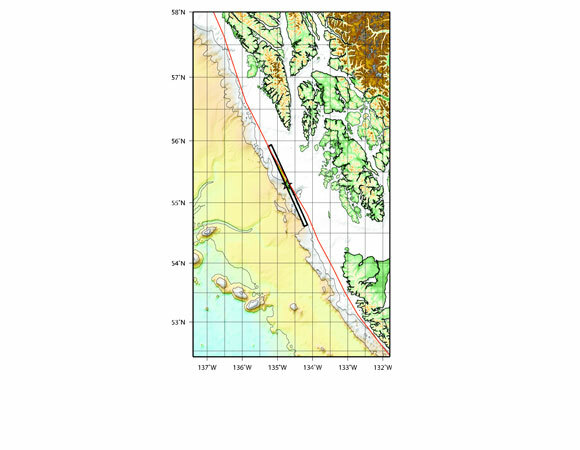 According to the USGS, this event created a fault approximately 50 km in length and with a slip of 7-8 m.
Figure 2. 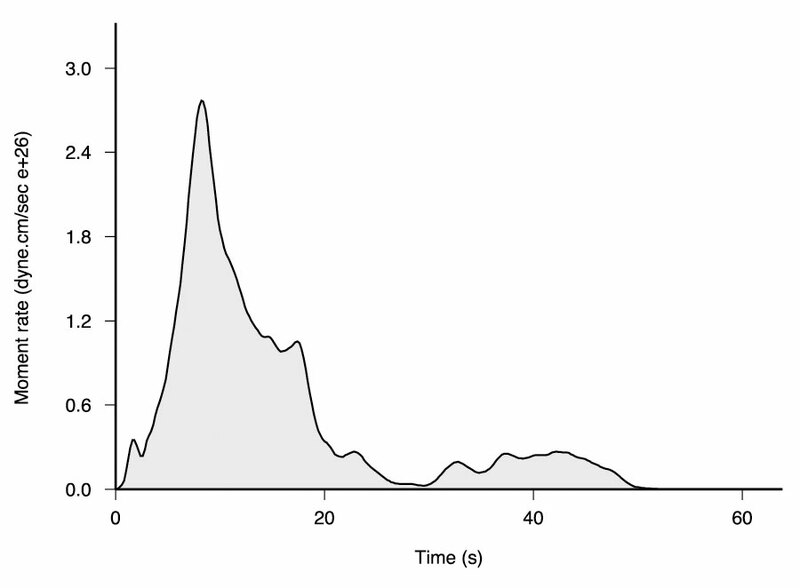 Source time function, describing the rate of moment release with time after earthquake origin. 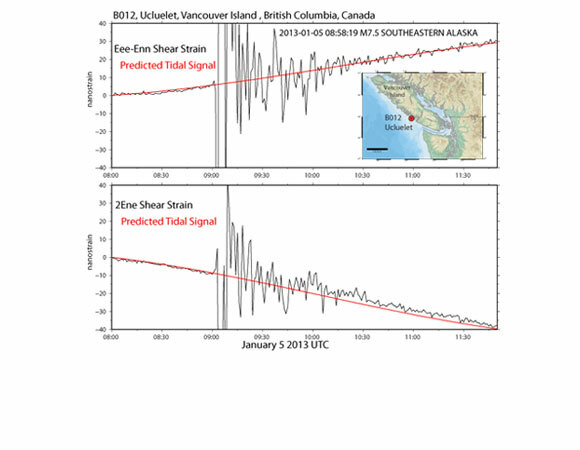 From the USGS Earthquake Hazards Program.